Bart Hopkins is the author and Co-Author of two novels. 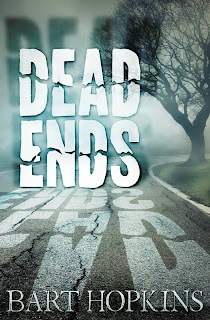 With Dead Ends he puts his writing to the test and forms a short story collection. 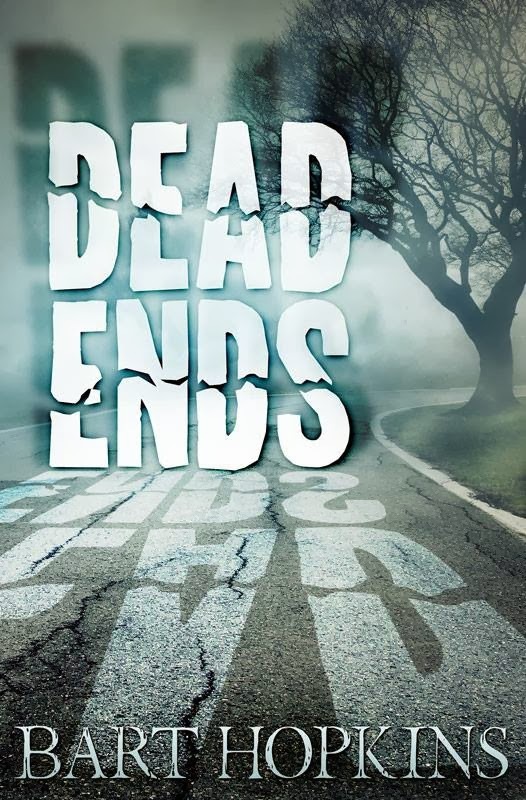 Dead Ends is made up of three short stories with dark tones. Things may not always be as they seem. And the endings are there to shock you. Recalculating is a story where you sort of know the ending from the start, but you are still completely surprised to see how it plays out. You may never see it coming. When a couple comes upon a GPS system at a garage sale, they decide to take a much needed vacation. This may be the worst mistake of their lives. Listening to directions on a GPS may not be all it is cracked up to be. The beginning of this story had sort of a Carrie feel to it to me. With a crazy mother and a daughter. Then it turned out to be very far from that once you get to the end. Though, maybe they need to find Jesus. This one is unlike Recalculating, because you can’t really guess what is going on. It keeps you hanging on until the end because it keeps you guessing where the story is headed. Here’s a piece of advice: you may want to have some garlic around you while reading this. Character development was surprisingly well done in such a short amount of pages. Donations is easily the creepiest and most horror filled of the three. It is also longer than the other two, so the character and story development really adds to it. When the one you love is dying, how far will you go to save them? This short story combines two different story lines, and they come together in a surprising way. It will keep you guessing up until the last page. It is a very dark story with a mix of romance and craziness. You may sleep with the lights on after this one. Overall rating: 5/5 Stars. If you like horror, drama, and short stories, pick this up now.